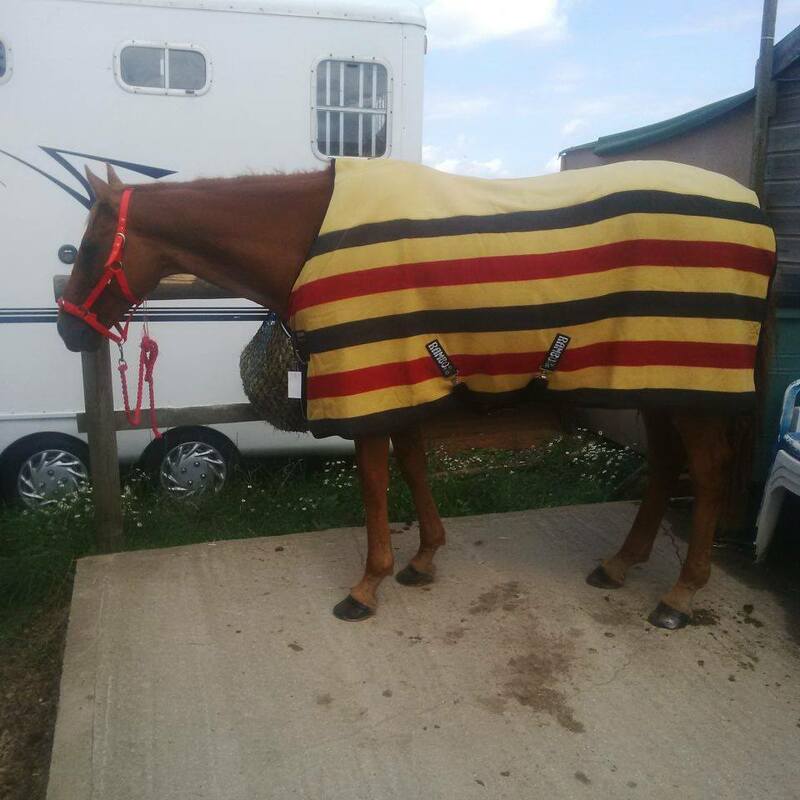 I love horse rugs, especially when it comes to buying a new horse rug! When I bought Scottie, he came with nothing, so I got to buy him a whole wardrobe. And I constantly get an itch to add to it! In this post I am just going to highlight some of my favourites! I have always loved the Newmarket fleeces, especially on a nice chestnut thoroughbred. 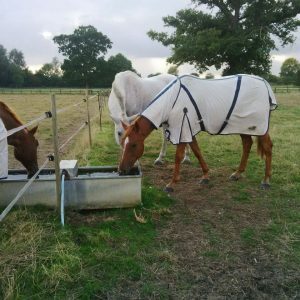 So when I knew I was getting Scottie and knew his rug size, the first thing I bought him was a Newmarket Fleece, despite the fact he would be living out for the next 3-4 months. I also have the matching travel boots… I think he needs the lead rope too! That might have to be next on the list! 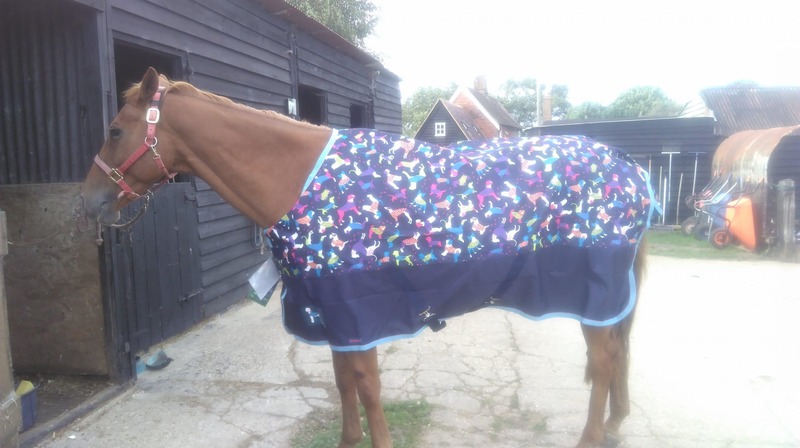 But my rug addiction isn’t limited to Newmarket colours. I also love nice patterned ones, such as the Loveson Fly rug! Many of our stable and turnout rugs have some kind of pattern with several having a stripy tartan/tweedy pattern. I can’t be the only one with a bit of a horse addiction! What’s your downfall when it comes to buying bits for your horse?